Referral Partners – refer customers to us and receive a finder's fee on each referral that purchases our solutions. Special pricing incentives available. Reseller Partners – become a certified reseller and bring Passageways solutions to your customers as part of your portfolio of offerings. You'll maintain your relationship with your client and receive a discount on Passageways. 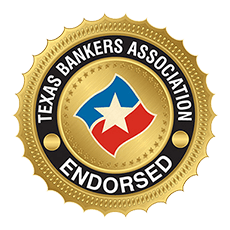 The oldest and largest state banking association in the nation, the Texas Bankers Association represents all banks across the state of Texas ranging from the smallest at $5 million in assets to the largest at over $60 billion. Our membership consists of both commercial bank charters and thrift charters and our members have over 5,500 branch locations. The largest portion of our membership, currently just under 500, lies in the $200 to $500 million asset range. Passageways is a Microsoft Certified Silver Partner in application Development. This partnership entitles us to several core benefits that not only help us strengthen our capabilities but also allows us to better serve our customers and build connections to maximize our business potential. Algorism Limited is a technology consulting and systems integration firm with the founding vision of becoming Africa’s number one digital transformation solutions provider. Algorism is focused on delivering world-class digital transformation solutions to business enterprises and governments across Africa. 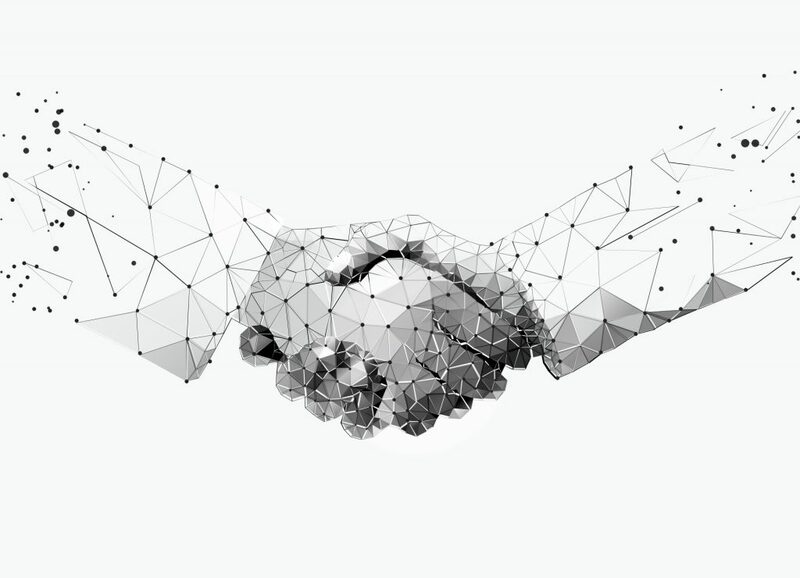 their business is built around the experienced professionals that make up our people, our proven methodologies for value delivery, an extensive global partner ecosystem and our ethical business practices and reputation. Algorism providessolutions to complex business problems across many verticals including Financial Services, Government, Utilities, Retail, Manufacturing, and Mining. Rackspace is a recognized leader in the IT hosting market and is Passageways choice to be our partner for hosting our SaaS (Software as a Service) environment. Rackspace integrates the industry's best technologies and practices for each customer's specific needs, including processes and safeguards designed to protect the assets and data we entrust them with. Rackspace has completed an examination in conformity with SAS 70, Service Organizations. Purdue Federal Credit Union is an equity holding partner in Passageways. Purdue Federal Credit Union is also a customer and its employees use Passageways as their corporate portal. In addition to this, Purdue Federal Credit Union also contributes in product design, new modules design and beta testing. Open Technology Solutions provides technology support to participating credit unions by collaboratively implementing and maintaining best-of-breed solutions. Since these participating credit unions are on the Open Solutions core processor, OTS also plans to extend the Passageways portal platform to create various connectors with the core system and other applications. Members Development Company (MDC) is a true partnership between credit unions, Corporates, Leagues and CUNA Mutual designed to help focus member product and service development activities on the most pressing and promising opportunities within the credit union industry. The Purdue Research Parks are the result of Purdue University's commitment to spur economic growth in Indiana's high-tech sector. Under development since the late '90s by Purdue Research Foundation, a private, nonprofit foundation created to assist Purdue, the parks are focused on companies operating in the arenas of life sciences, homeland security, engineering, advanced manufacturing and information technology. Strategic Arts and Sciences is dedicated to the idea that the power of any business strategy hinges on the potential for candid, ongoing dialogue throughout the organization. We see Passageways as a partner and resource for enabling the conversations that create, engage, and refine effective strategies. The NCBA is the national voice for all industry sectors of Cooperatives in the United States. Being the first and largest governing body for Cooperatives nationwide, the NCBA plays a prominent role in our country's economic development accounting for over $650 Billion in revenue and 2 Million jobs. With the mission to Develop, Advance, and Protect cooperative business. Passageways is an associate member in the NCBA. From data processing and computer network support to image check processing and customized marketing campaigns, CU*Answers helps credit unions address their every need, every day for more than 165 credit unions nationally, representing 1.5 million members and $10 billion in credit union assets. DelMar is a partnership of software developers that like to build simple, easy to use software on top of large, complex data. Delmar loves working with clients like Passageways that need a helping hand launching and maintaining a new software based line of business. The name BeyondKey is rooted in the origins of creation and it symbolizes, epitomizes, and glorifies the primal life giving and life sustaining force that permeates the entire universe. We have made a sincere, genuine and humble effort to capture the essence of this primal force. For us the essence translates to life giving and life sustaining solutions in the software services realm. Established in 2005, BeyondKey Systems Pvt. Ltd. has provided all encompassing software solutions to customers across the globe by successfully maneuvering the changing dynamics of offshore software development. BeyondKey's operating philosophy and guidelines comprise simple, well defined and fundamental tenets. 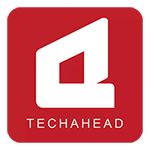 TechAhead Inspires innovation, generating endless opportunities and sustainable wealth for everyone. We learn, discover and create best in class solutions touching lives globally. UHY Hacker Young Associates is a UK company which is the organising body of the UHY Hacker Young Group, a group of independent UK accounting and consultancy firms. Any services described herein are provided by the member firms and not by UHY Hacker Young Associates Limited. Each of the member firms is a separate and independent firm, a list of which is available on our website. Neither UHY Hacker Young Associates Limited nor any of its member firms has any liability for services provided by other members. Askival founded in 1986, as a wide-ranging software development company. In 1996, the company turned its focus to corporate governance software solutions. Since the launch of its first entity management software, Group Vision for MS Windows, the company has concentrated on further development of the software and providing related IT and consulting services. With the introduction of their most recent product, Group Vision Web, in 2013, the company has successfully entered new markets in Europe. The software includes a document management module as well as a best-in-class group charting tool, and is widely appreciated for its ingenuity, flexibility and user-friendliness. The company’s operational headquarters is based in Huizen, The Netherlands. Our knowledgeable and experienced team of qualified Lawyers and Chartered Secretaries work in partnership with you to provide valuable support to your senior management team whenever required. We take the time to understand your goals and build long-term relationships. Our Company Secretaries can not only file statutory returns, take minutes of board meetings and draw up policies, but giving you added value, will also draw on their extensive experience to advise your board on governance issues. We are company secretarial and corporate governance specialists with a solid track record of working successfully with boards and managements in the public and private sectors. We offer professional advice and practical solutions in board governance practices to enhance effectiveness. We use our broad-range knowledge and expertise to work seamlessly within the culture and structure of your organisation in order to provide you and your people the right level of support. Evaluating business processes to make the best use of technology in healthcare, government, and other regulatory environments, to maintain accurate, reportable data, while making a streamlined workflow for the users. Vendita Veloce, LLC. is a boutique strategy & sales consultancy that provides advice to some of the most innovative and emerging companies in Indianapolis. MBA ODYSSEY is the Global MBA Games for the top business schools in the world. It enhances the MBA experience by bringing together future leaders to compete in a variety of business games and by connecting with current world leaders. We create innovative solutions and implement them in projects and operations that benefit a variety of industries. Our services are meticulously designed to provide efficient and sustainable solutions and results.